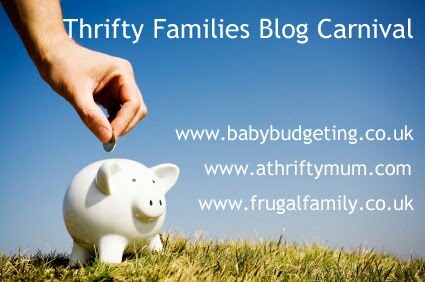 This is a call for posts fo the February Thrifty Families Blog Carnival, which is to be held at my other blog Family Budgeting on February 7th. All you need to do is send in a post (on making or saving money, thriftiness, upcyling. recycling or living frugally) you have written on your blog to Becky@family-budgeting.co.uk with Thrifty Blog Carnival in the subject header by 6pm on Sunday 5th. Each month across many blogs the subject of making money, saving money, living frugally and being thrifty are shared. It’s a sign of the times and a more careful and caring generation of people that we protect our resources, recycle, upcycle and make do. The last one was held at frugal family and was fabulous . Do join in! As always big love to my family club the generous sponsors of this project. Previous Post Do you have savings for a rainy day ? Next Post B-scene coat revolutionary, super safe kids coat idea.